No compromising your healthy diet. YOU WANT TO FEED YOUR FAMILY HEALTHY FOOD WITHOUT BUSTING YOUR BUDGET. I get it! You live in the same world I do. You’re struggling to feed your family healthy foods on a tight budget. You want to pay off debt and save for the future and still have time to spend with your family. You feel time-starved and disorganized, and you’re longing for someone to take your hand and show you how to get your grocery budget in order. You and I both know you don’t need just another 101 Tips for Saving Money on Groceries. What you need is an organized grocery savings system that is simple to implement – and a little encouragement to get the job done. You’re busy raising kiddos that eat and eat and eat, and all you know is that you need to save money NOW! Sure staying on budget is important. But what’s really important is to find most efficient methods for saving money, so you still have time to enjoy being with your family. When I developed my grocery savings system I had a newborn and a toddler at home, and we only had one car that my husband needed for work. Pouring over newspaper ads and circulars or printing off coupons every week and then running from one store to another to get the best deals just wasn’t realistic – and I’m guessing it’s not for you either. I knew if I had to go to all that trouble to save money, then my grocery budget would go out the window anytime life got busy. That’s why I worked so hard to create a set-it and forget-it method that works with the ups and downs of a busy family life. Imagine waking up knowing exactly what healthy meal you’ll make for dinner that night. Then, what if you actually had all the ingredients already at home. No more running out to the store for just ‘one’ more thing. What if you felt confident that you knew exactly where to shop and what to buy to save on groceries. Imagine the satisfied smile on your face at the end of the day as you watch as your family devours the delicious meal you prepared for them. In other words, they recouped the cost of the course in just one week. When you purchase Grocery Savings Made Simple, you receive a collection of resources designed to help you drastically cut your grocery budget. These tools will guide you through creating your own grocery savings system tailored to fit your family. And once you’ve created your system, you can keep on using it. There are no weekly or monthly to do lists. When life’s busy seasons arise, you’ll still be saving money and staying on budget. 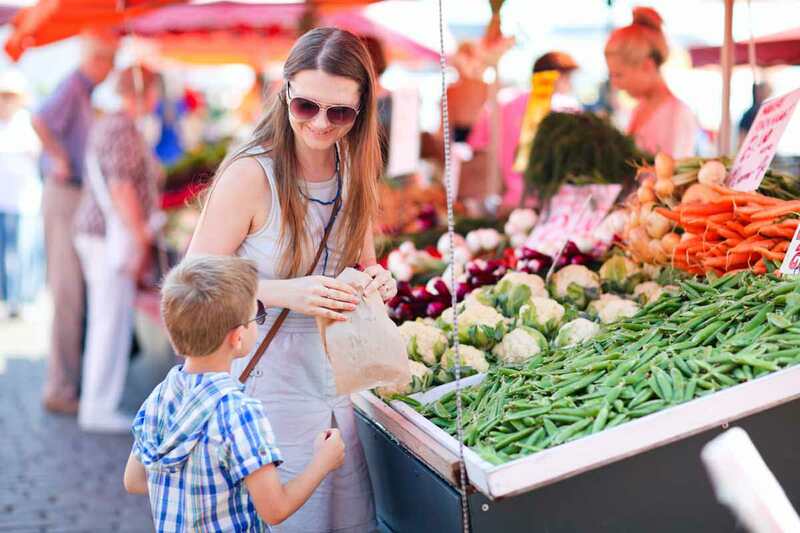 Get acquainted with the simple grocery savings system that works for your family. Discover how to save $60 per month in 60 minutes or less. That’s $720 saved per year! Simplify your scratch cooking routine. Find out what you should and shouldn’t be making from scratch. Learn how to cross meal planning off your to-do list forever. Find out where to shop to save the most money on groceries in your locale. Use my grocery savings cheat sheet to start saving money right now. Find out what to buy to save the most money on groceries. Start using your grocery savings system. Keep using it to save month after month. This bonus pack is filled with printables to help you stay organized as you build your customized grocery savings system. In the Ultimate Grocery Savings Guide you’ll find the simplest and best resources for saving money on groceries, all in one convenient place. 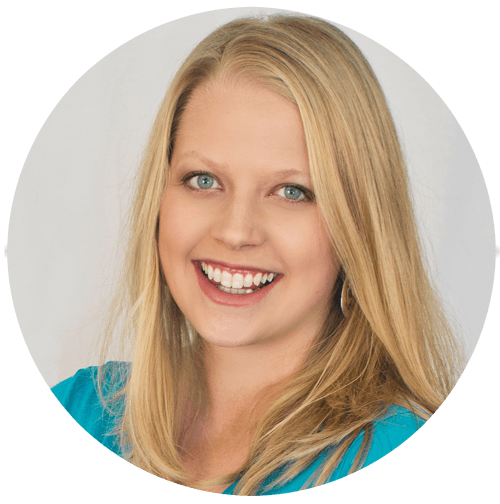 When you purchase the course plus coaching, you’ll also get personal email support from course creator Shannon Clark. Get all of your questions answered whenever you get stuck or need encouragement. This course is about actually doing something to cut your grocery budget once and for all! It works best when you have someone helping you every step of the way. 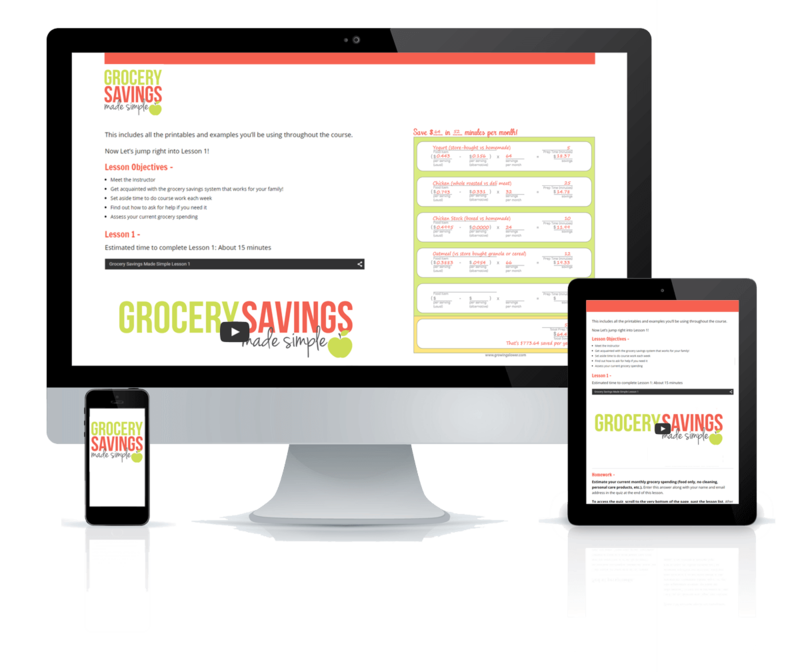 That’s everything you need to build your personalized grocery savings system! Grocery Savings Made Simple is available in two perfect packages. Pick the one that’s right for your family. This option includes all 8 lessons that will walk you through exactly how to save big on the foods your family loves. This option is perfect for the mom who wants a little extra help with creating their grocery savings system. You’ll get one-on-one support with tips tailored specifically to your dietary preferences. Hello there! I’m Shannon Clark, founder of Affording Motherhood and the creator of Grocery Savings Made Simple. A few years ago, my finances were out of control. At the time, my husband and I had a newborn, a toddler, one car, and one low income. We were already living on such a tight budget, and we needed to pay off debt so we could afford for me to stay at home with our kids long term. I knew that if we were to make progress toward our financial goal, then savings would have to come from even the necessary spending like our grocery budget. An amazing 9 months later, we had completely paid off our debt. One of the key ingredients to our financial transformation was the simple grocery savings system that I developed. In the first year alone I used it to save $5,616! I just knew that I had to share it with all the moms that email me day after day looking for ways to cut their grocery budget, struggling to do weekly meal planning, cutting coupons, chasing sales, or resorting to eating unhealthy foods. There is a simpler way, and I can’t wait to share it with you! As a mom, I know you work hard to make good investments with your family’s money. So I wanted to help simplify your decision by making my course risk-free. Give Grocery Savings Made Simple a try. If you complete all 8 lessons and don’t save any money on groceries, email me within 30 days of purchase and I’ll refund your money. My family follows a special diet, will this grocery savings method work for me? The course is intended to work for anyone and any style of eating. My own family has a whole list of food sensitivities that we are dealing with and still saving money. The course is geared to guide you through creating your own grocery savings plan that works for your specific family. By the end, you will have the best possible grocery budget for your specific family’s needs. There’s never been a better time to finally get your grocery budget under control. And there’s never been a better resource to help you get started the right way. Now’s the time to take action, but only you can do that. Feed your family healthy food - even on a tight budget. Enter your info to join the course wait list. In the mean time you'll get the info and inspiration you need to work from home and budget successfully.